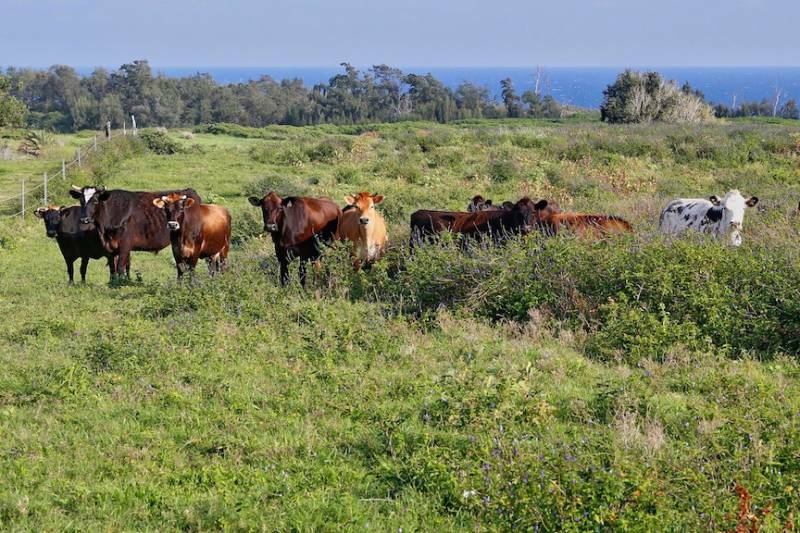 From farm-to-table restaurants to roadside grills and food trucks, the North Kohala coast is brimming with charming eateries that will excite foodies in search of uber-local ingredients like Parker Farm cattle, fresh seafood and hearty vegetables grown in the island’s rich, volcanic soil. Not only do residents of the Mauna Lani Resort community have plenty of dining options nearby, they actually own a piece of history. The Kohala Coast is a landmark in Hawaii Regional Cuisine. It was where Peter Merriman — chef, restaurateur and co-creator of Hawaii regional cuisine — fell in love with the Big Island’s local ingredients. Merriman was a culinary pioneer who formed partnerships with farmers and explicitly cooked with fresh island ingredients, including cattle raised on Waimea’s Parker Ranch, fruits and vegetables grown from rich, volcanic soil and fish caught that morning by local fisherman (that happens to be some of the best quality fish in the world). In 2011, Merriman and the other Hawaii Regional Cuisine chefs — Sam Choy, Mark Ellman, Roy Yamaguchi, Beverly Gannon, Roger Dikon, Amy Ferguson Ota, Jean Marie Josselin, Philipe Padovani, George Mavrothalassitis, Alan Wong and Gary Strehl — were inducted to the Hawaii Restaurant Association Hall of Fame. Merriman has also received nominations from the James Beard Foundation Award for Best Chef: Pacific. Merriman’s first restaurant in Waimea was named the “Best Big Island Restaurant” by Honolulu Magazine for 11 consecutive years. Together, this outstanding group of chefs started a movement that was in many ways inspired by Kohala, which means cherished land. By cooking with regional ingredients, these chefs showcase the spirit of Hawaii and deep connection to the ‘āina (land). In fact, Merriman has a mission statement for all of his restaurants: “Do the Right Thing!” and his employees are taught to respect the land and the people who produce the food. 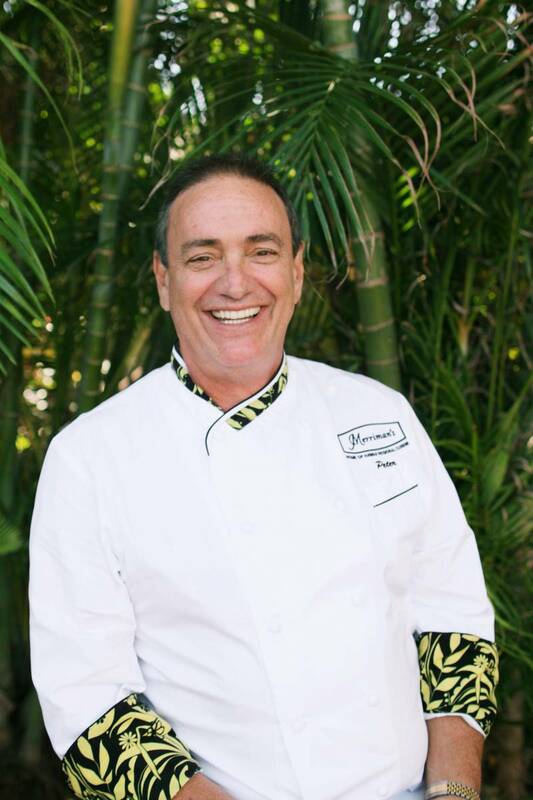 Peter Merriman is a chef, restaurateur, and co-founder of Hawaii regional cuisine. His signature restaurant is in Waimea. Photo courtesy of Anna Kim. For more than 20 years, Peter Merriman has strongly supported Hawaiian farms and ranches and today, at least 90 percent of his restaurant menu offerings are locally and sustainably grown or caught. Thanks to Merriman’s influence, the Big Island’s food scene has blossomed with a wide variety of restaurants featuring island-to-table menus. Here’s a restaurant guide for foodies living in Kona-Kohala coast resort communities featuring eateries that focus on island-fresh food that reflects the multicultural flavors of Hawaii regional cuisine. After making an impression at the Mauna Lani Bay Hotel and Bungalows, Peter Merriman opened his flagship restaurant in Waimea — the heart of Hawaii’s farming community — in 1988. As the epicenter of Hawaii Regional Cuisine signature farm-to-table, boat-to-table, and ranch-to-table approach, Merriman’s menu features fresh island flavors, upcountry dining with warm Hawaiian hospitality. Bamboo Restaurant and Gallery is known for its creative and affordable Pacific Rim menu — and some of the state’s best pot stickers. Located in a historic, fully restored plantation building, Bamboo is a one-of-a-kind experience with big aloha spirit where waitresses may break into an impromptu hula in the dining room. Their menu features fresh island dishes, including fish, locally grown organic produce, free-range chicken, grass-fed steaks and ribs, and plenty of vegetarian options. Napua at Mauna Lani Beach Club offers an eclectic and adventurous menu that fuses Hawaiian European, Asian and Polynesian cuisine in a contemporary way. It’s located inside a private ocean cove that’s a short walk along the beachfront and historic fishponds of Kalahuipua‘a. 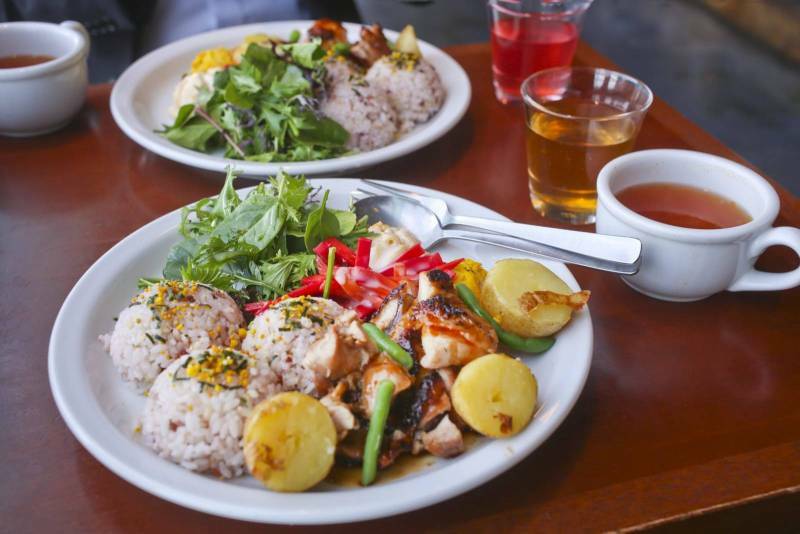 It serves local food for lunch and dinner with ingredients from within 50 miles of the plate, including fresh fish, farm produce, ripe fruits, and beef from cows raised on Big Island grass. 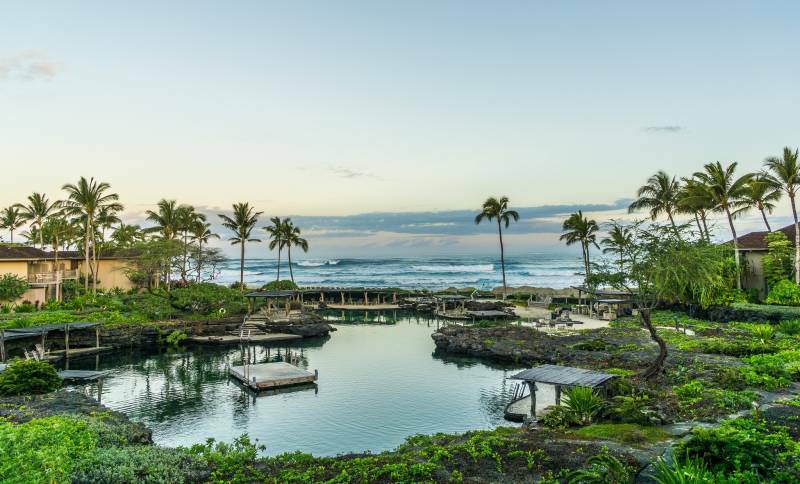 Steps from the ocean, ‘Ulu Ocean Grill at the Four Seasons Resort Hualalai specializes in regional, seasonal and artisanal cuisine where 75 percent of the food is provided by local farmers and fisherman. It’s open for breakfast and dinner and focused on sushi and sashimi as well as surf and turf options. For more than 30 years, Huggo’s has remained a Kona institution on the Kailua-Kona waterfront that’s known for its spectacular oceanside sunsets, fresh seafood, and signature teriyaki steak. There are live Hawaiian bands playing music most nights with spotlights shining into the water, attracting fish and manta rays.